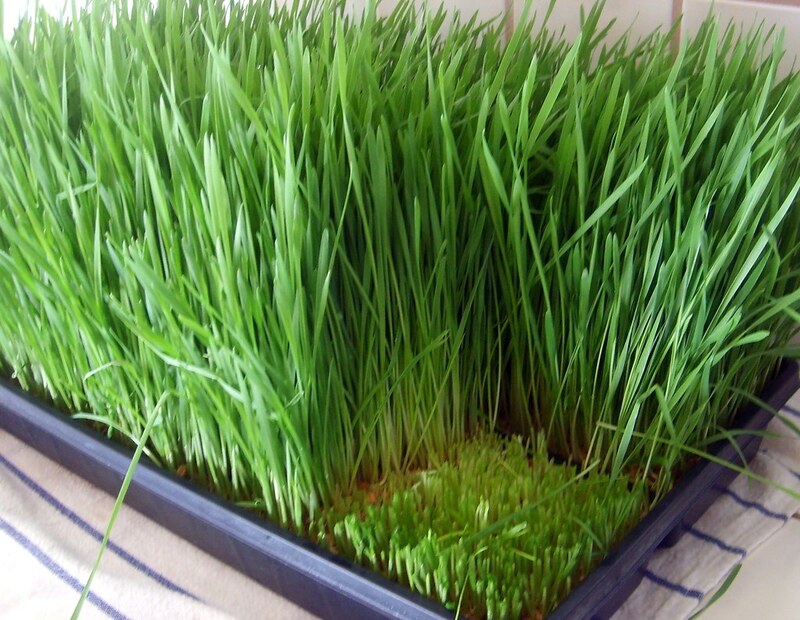 I drink wheat grass on a daily basis and it's very expensive to purchase it from either a Juice Bar or Whole Foods and so I decided to grow my own. I would normally spend on average about $2-$3.50 per day and now I spend just pennies. Also my husband gets the benefit of drinking it as well since I'm making it at home. And it only takes me about an hour of my time per week to harvest an entire week's worth of juicing! 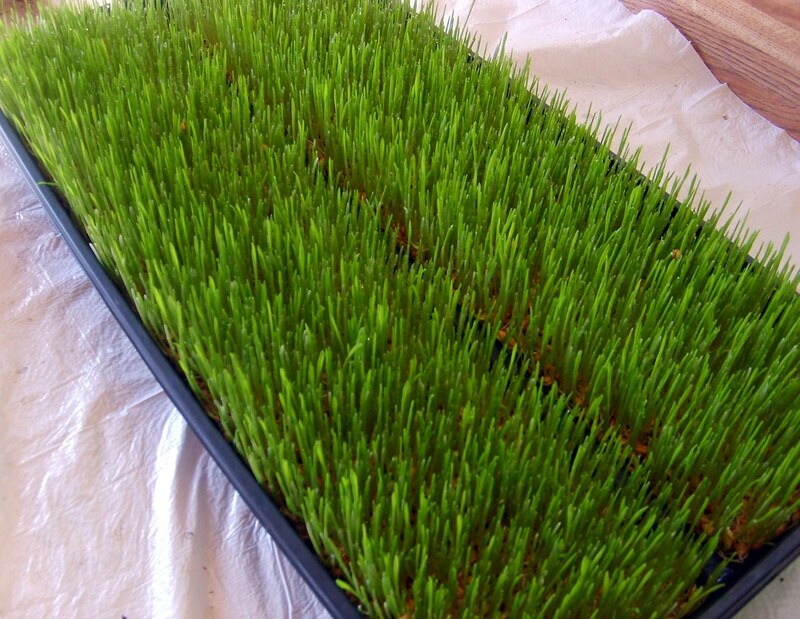 The health benefits from drinking wheat grass are endless. It is full of Chlorophyll, Amino Acids, Vitamins, Minerals, Living Enzymes and is a natural source of Omega 3's. 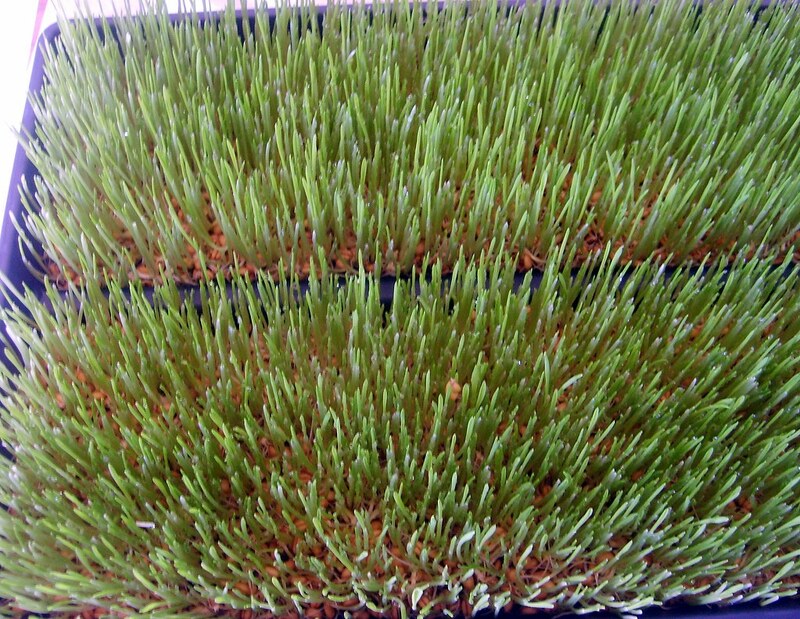 Wheat grass is reported to aide in digestion, blood flow, cancer prevention and detoxification. All sounds good to me! 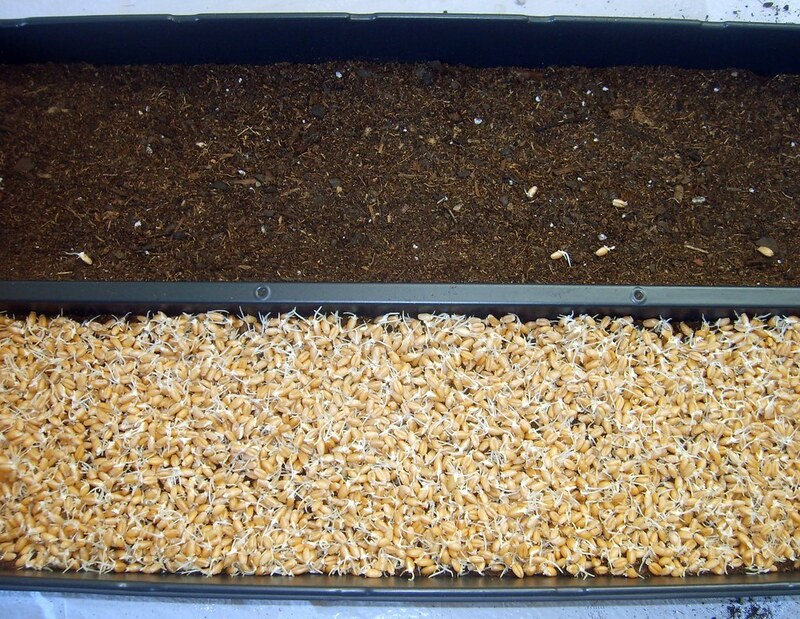 Two growing trays with drainage. I went to a local plant nursery and they gave me two trays for free, but you can order everything online. Potting soil that includes peat moss for moisture retention. I purchased "green" potting soil from Whole Foods that didn't contain any "manure" or "peat moss" and then I added my own peat moss. 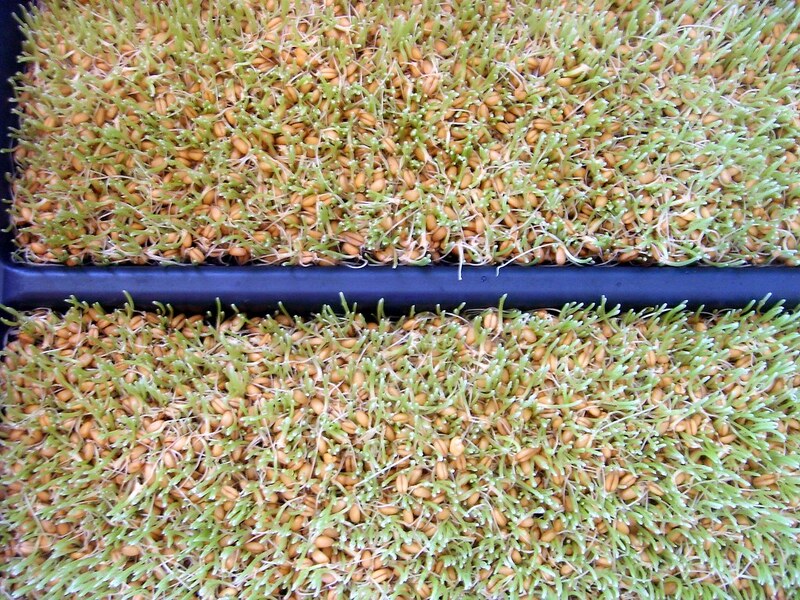 The ratio of potting soil to moss is 3:1. For some reason having "manure" in my soil, even though it is sterilized, wasn't very appealing to me. 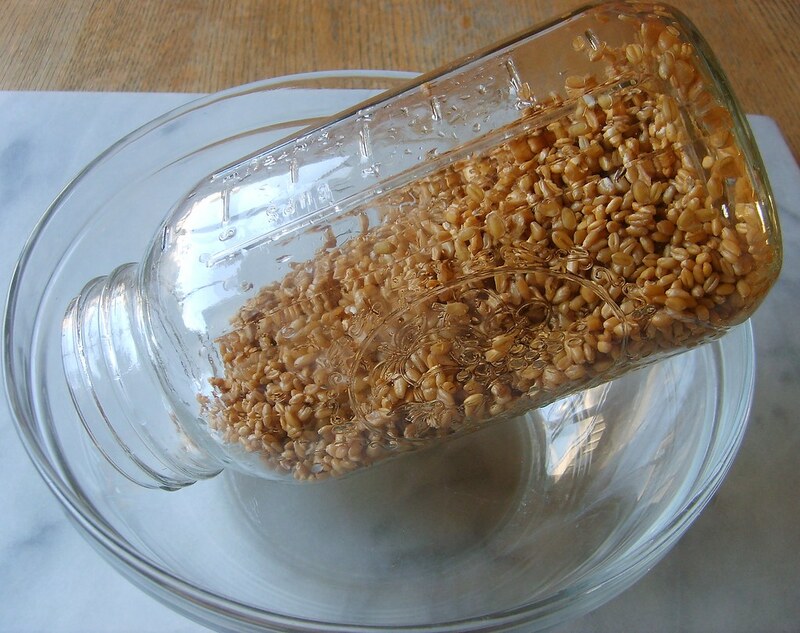 One 2 quart jar for soaking seeds and sprouting. Spray bottle to mist sprouting seeds. 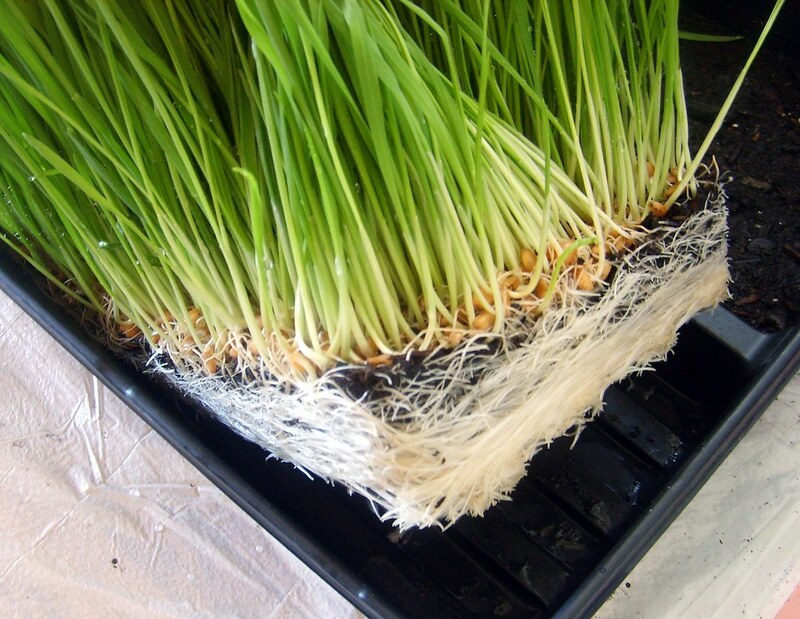 Plastic garbage bag to cover seeds while sprouting. And of course Red Winter Wheat Berries (seeds). I purchased mine from Whole Foods. It cost me about $5.00 for 5 pounds of seeds. 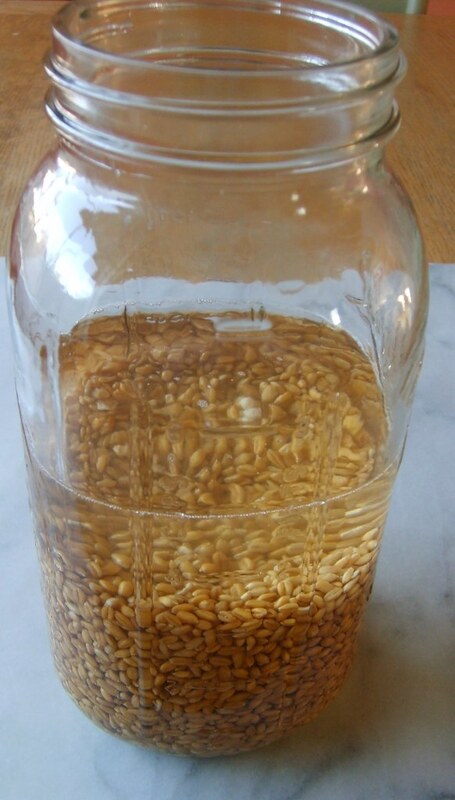 The first step to growing wheat grass is to soak the seeds in a 2 quart jar overnight for 8-12 hours. The following morning you'll need to rinse the seeds in a fine mesh strainer, shake to remove excess water, add seeds back to jar and position jar at a 45 degree angle in another bowl for support. You should repeat this process late afternoon/early evening and then again late in the evening--for a total of three rinses. 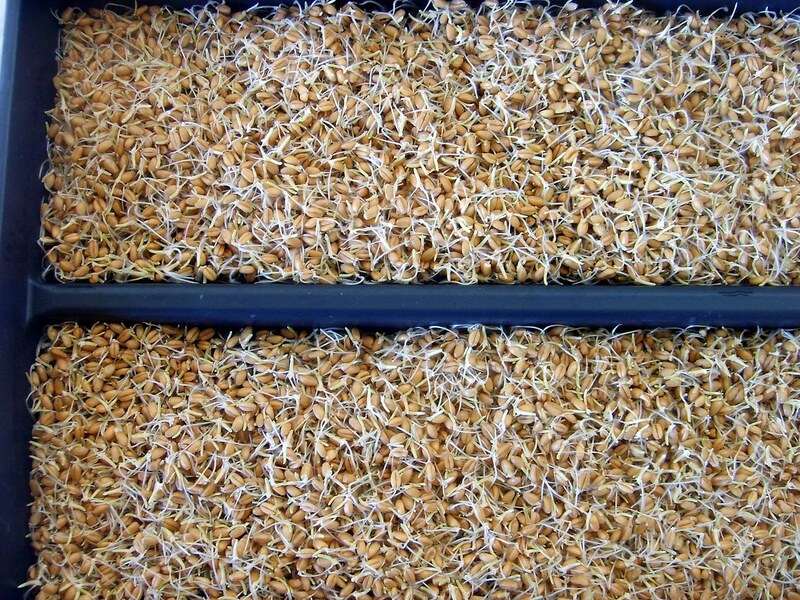 The seeds will start sprouting within 8-24 hours. After the seeds have been sprouting for 24 hours in the jar, they are ready for planting. The planting trays that I got from the nursery are 21x10 in size and I use about 2 cups of seed. If you purchase your trays online they either come in 10x12 or 17x10. The smaller uses about 1 1/2 cups seeds and the larger, the same as mine. 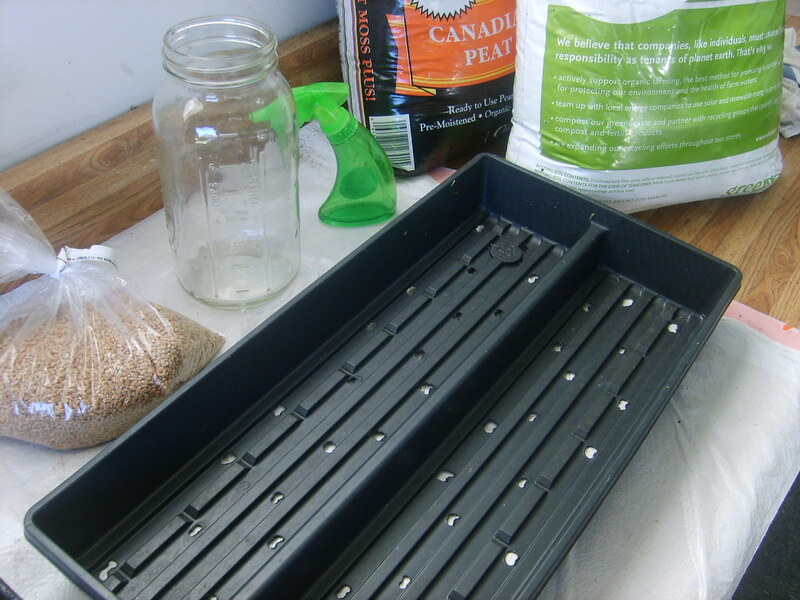 Fill the potting soil about 1/2 way up the tray about 2" and place the seeds evenly on the surface of the soil. It will look crowded, but that's okay. Now you're ready for your first watering. You really need to give the seeds a good watering every morning and a misting every night. I water enough in the morning until the water drains out of the bottom of the trays. 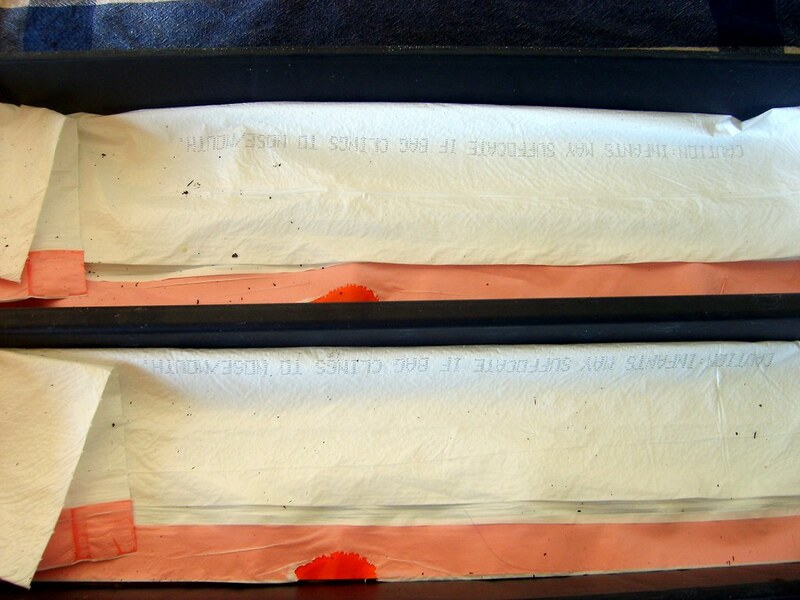 For the first 3-4 days, the seeds should be covered at all times to protect them from drying out. You can place an extra tray on top, or I just cover the seeds with two kitchen trash bags. I also keep the trays inside during this time in my garage. But once we hit day 4, I move the tray outside to a shady area with lots of airflow to prevent mold from growing. 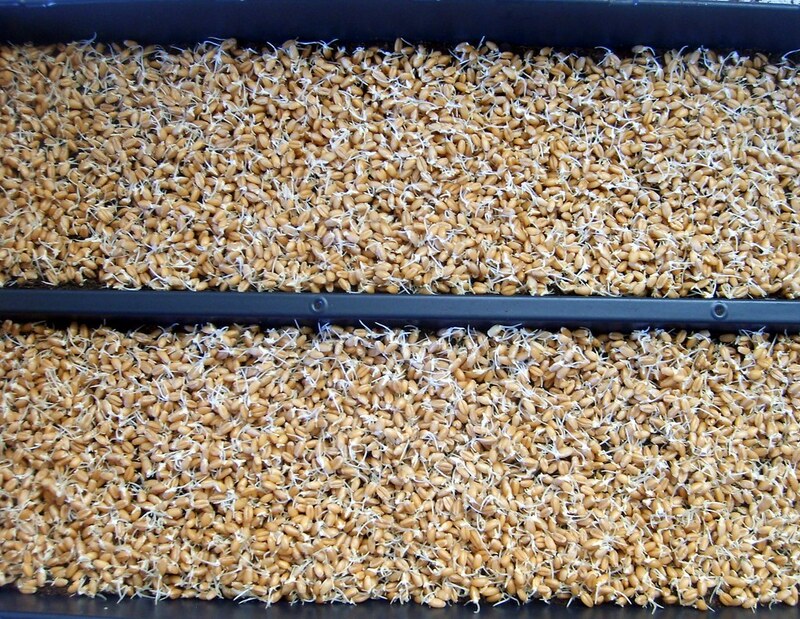 The trays/seeds/grass should never be in direct sunlight to prevent drying out and browning. Day 4 (Water Heavy in the Morning and Mist in the Evening). 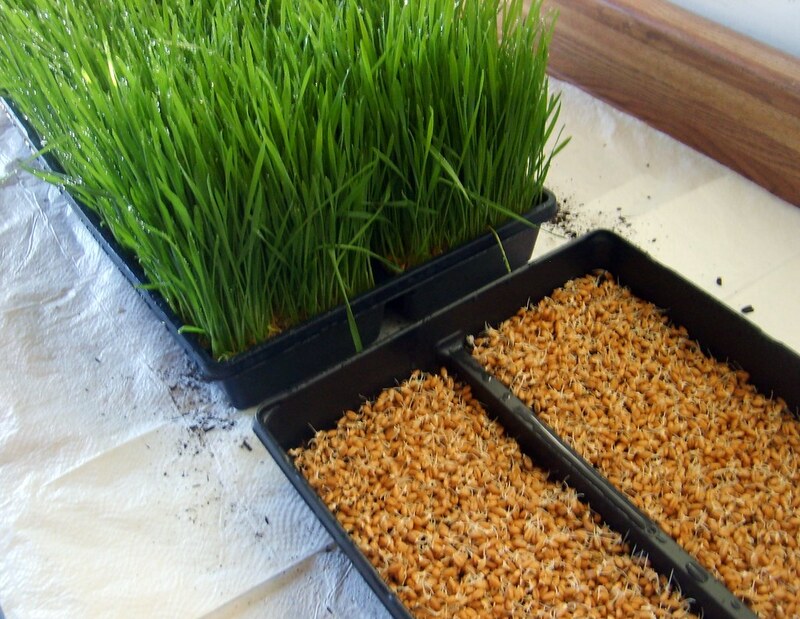 By day four, you no longer need to keep the seeds covered to prevent drying out because the grass is established at this point. Once you get to Day 5, it all starts to look the same, the grass just gets longer and lusher. Grows to be about 6" high. Keep watering in the morning and misting in the evening everyday until harvest. So how do you know when it's time to harvest? It usually takes 7-10 days, depending on the temperature. Best growing temps are between 50-80 degrees. 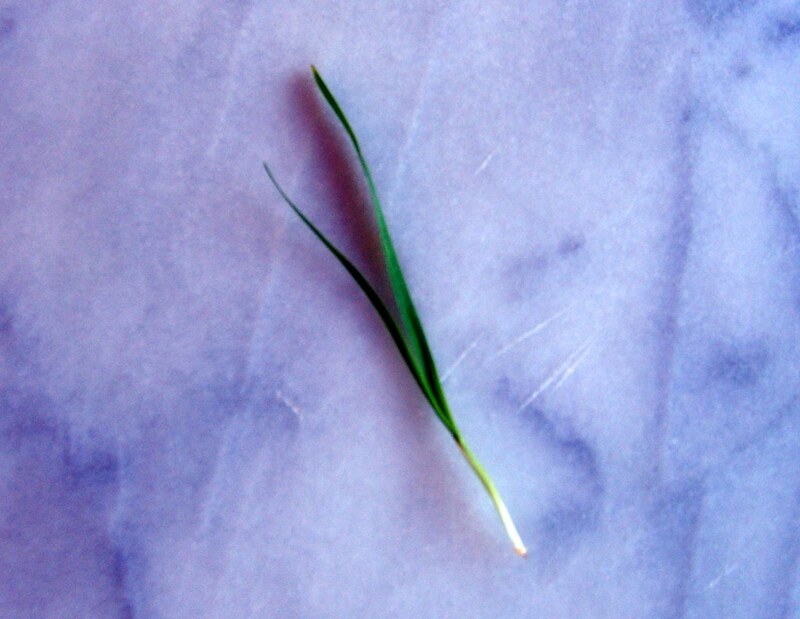 As soon as you see the first sign of the stem splitting into two leaves, you should harvest at that point. I made the mistake of waiting too long on my first batch and the juice was a little bitter. But since then, all of my grass has turned out very balanced in flavor--sweet and herbaceous. 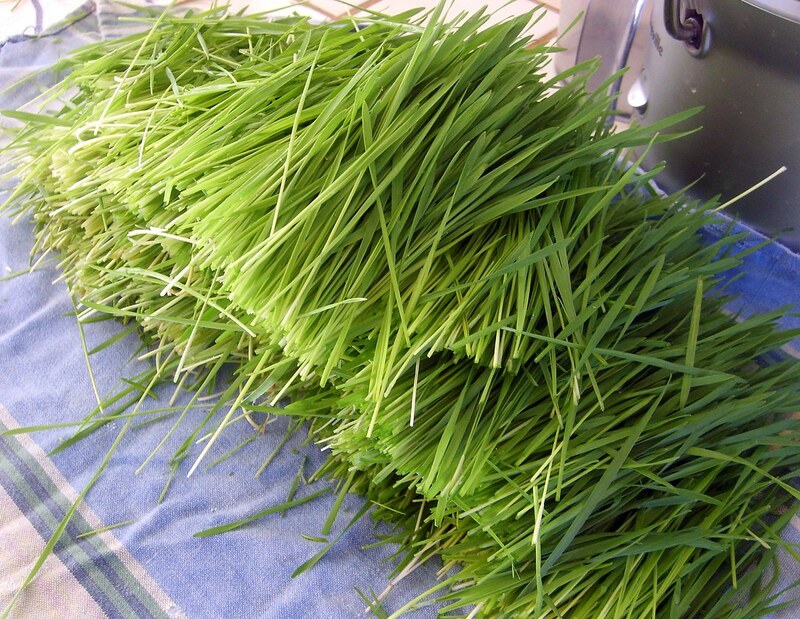 I harvest all of the wheat grass at once and place it in a plastic bag in my refrigerator. My husband and I go through it so quickly 5-7 days max that it stays really fresh. But you can cut it per order. I just worry that it will become bitter and so I can control that by cutting it all at once. Finally, to make sure that I never run out I start soaking more seeds when I remove the cover on the 4th day of the growing cycle. This seems to work well for us, but you may need to start the process sooner or later in the cycle. Well I hope that I didn't bore you with this post. I just love this stuff. I still use my other juicer and have "My Morning Cocktail" daily. This drink is just an added bonus for my immune system. I drink about 1-3 ounces daily and my husband drinks about 1 ounce. Also, it's important to drink wheat grass on an empty stomach so this is the first thing we drink in the morning, other than water. Do you have problems with little bugs? I use a compost mix for my seedlings and always get those little dark bugs. Will the grass grow back once you cut it? No, I've never had any problem with bugs. 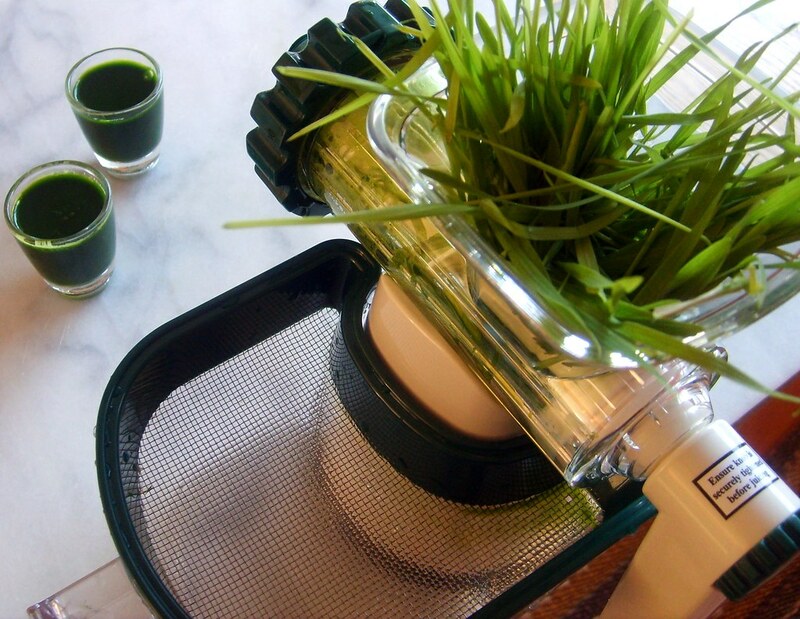 I do rinse my wheatgrass and dry it in a salad spinner before juicing though. I've never tried growing a second batch after cutting. I've read that it looses some of its nutrients and also, I don't want to deal with any mold issues. 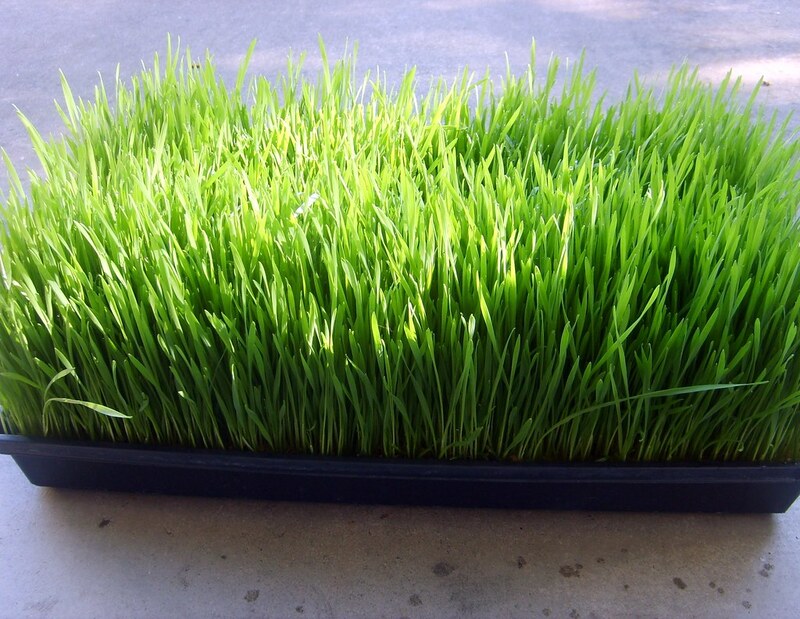 A second growth might be perfect for pets if they like eating grass. Try it and see what happens.